All doors are available in several styles giving you the option to enhance the appearance of your units. 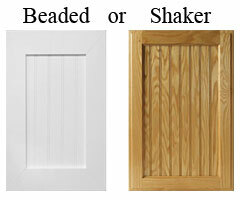 Our staff can help you choose a style that will work well for the cabinetry that you want. And we are always willing to give advice on what style works well with the color you choose. Finishes shown should only be used as a reference. 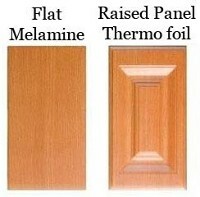 Some finishes not available in Thermofoil Raised Panel.